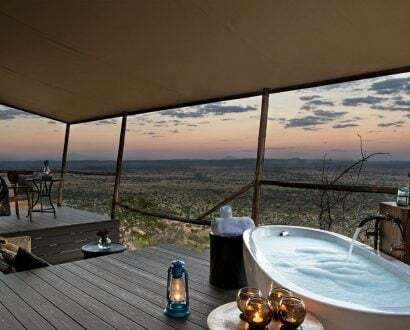 Imagine spending the night in an exotic African bungalow with just seven sheets of glass separating you from a restless lion letting out an ear-piercing roar in the direction of your bed at 2am. 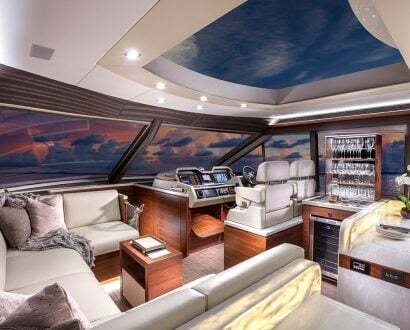 For more than 50,000 guests over the past four years, the unparalleled experience became reality. Welcome to Jamala Wildlife Lodge. 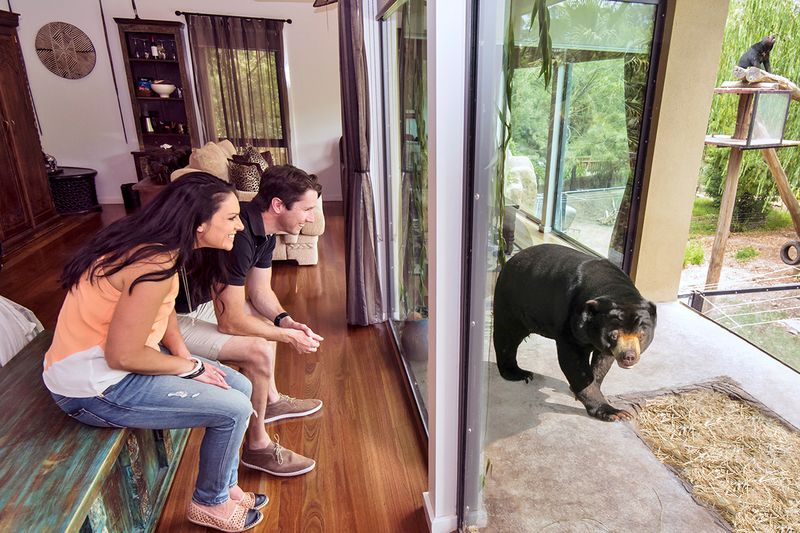 The lodge’s founders Richard and Maureen Tindale sold their building and real estate businesses in Australia and embarked on creating a zoo. 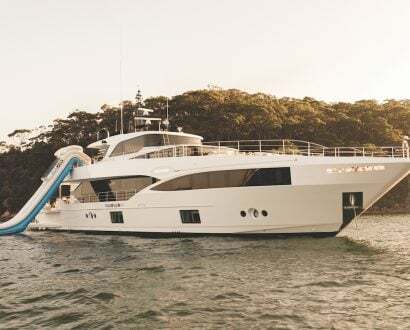 Swapping property development for a three-year intermittent travel expedition, the father-of-six followed his passion for big cats only to return to Canberra to buy a liquidated aquarium and its accompanying eight hectares of land. More than 20 years later, the Tindale family established Australia’s only interactive zoo hotel to educate the public on the importance of animal conservation. “We get people closer to animals,” Richard Tindale told The CEO Magazine. “By getting in there with the cheetah and hearing it purr or by coming face-to-face with a tiger, there is a considerable impact on guests’ views on conservation. Jamala Wildlife Lodge allows an average of 13,000 guests a year to spend the night in the luxurious rooms with intimate viewing points to the fish in a four-metre-deep ocean aquarium, sun bears, cheetahs, lions, tigers, meerkats, lemurs from Madagascar and the zoo’s iconic Hummer the giraffe. 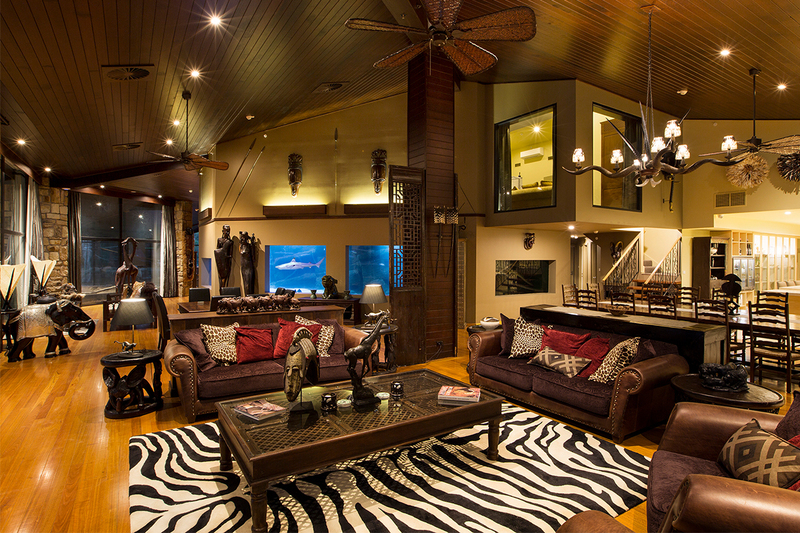 Guests also look out onto the shark tank from the lounge room of uShaka Lodge. Giving ex-circus animals a space to live out their lives was the essence of the lodge where all the animals are free to move about the enclosures as desired and are not locked into areas for the benefit of guests. The founders visited a circus to assess retired tigers but instead left with three brown bears. “The bears were ex small circus and in a small enclosure,” Tindale says. “We took them home as no-one else would because they’re not part of a breeding program. Bears always look sad no matter what you do or how happy they are; they destroy their enclosures, they’re expensive to look after. “Despite all this, they were loved for decades by all of us and had a fabulous retirement until they passed away 18 to 20 years after we got them." The former businessman says that when the animals are released into their new, comparatively super-sized enclosures – after growing up in a world of jumping through fire and constantly being prodded – they pace the size of their original circus cages out of habit. This sad habit is soon eradicated, however, with many of the animals, especially the lions, becoming some of the friendliest attractions at the lodge. The extraordinary experience of sleeping alongside some of the rarest, most exotic animals in the world is an exceptional novelty but is also aimed at educating guests on the reality that many of the species won’t exist in the wild in their grandchildren’s lifetimes. Tigers are the rarest animal at the luxury zoo hotel and the motivating factor behind keeping the lodge running. “It is forecast that by 2030 no tigers will be left in the wild,” Tindale says. “There are currently 3,200 wild tigers but 100 years ago there were an estimated 100,000. Lemurs, two rhinoceros, six tigers and two white lions (there are only 200 left in the world) are among some of the rare occupants of the hotel that offers a 22-hour luxurious savannah adventure. “We travelled around the world to get ideas but there was very little in the form of zoo accommodation to look at, so we created our own style,” the founder says. “Dubbo in New South Wales, Australia, had really good tented accommodation, but it wasn’t interactive with the animals at that stage. The luxurious jungle bungalows (with six to eight windows in each room) is built in a U shape where the big cats can access the centre of the U, allowing guests to view the majestic creatures from their bathroom, bedroom and lounge. If aquatic animals are more your style, the Shark Grand Suite in uShaka Lodge allows guests to look down from a terrace into an aquarium featuring a shark that enjoys a pat. 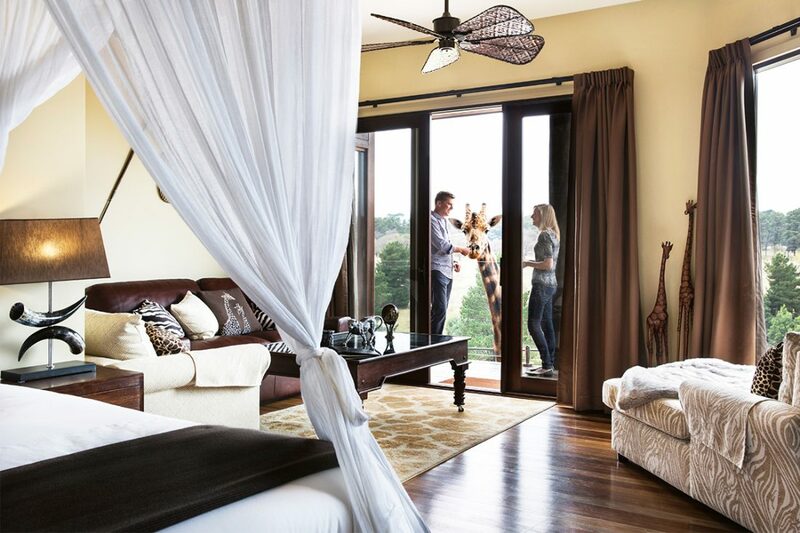 When guests aren’t relaxing in their 1960s African hut-inspired suites with their new roommates, they’re kept busy with animal encounters, tours and an African dinner party. 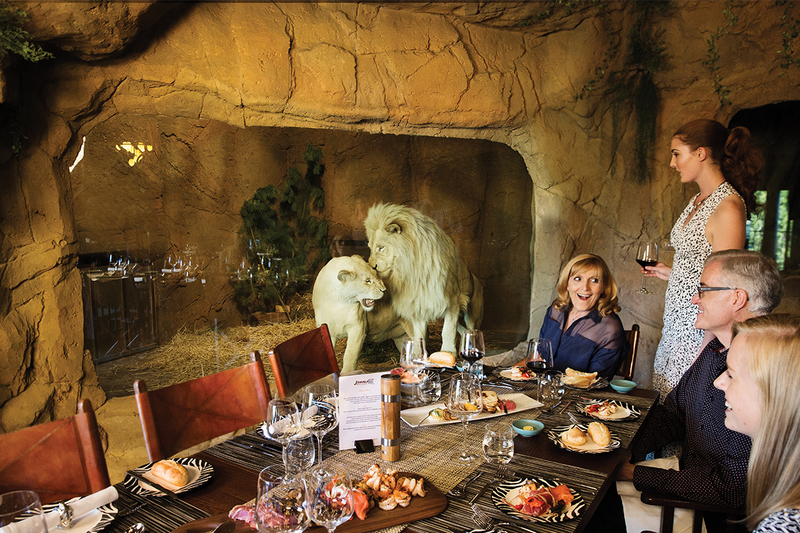 Did we mention the rare white lion and hyenas come down for the fine dining, five-course dinner? The accommodation, which includes two tours of the 100 exhibits, has been running at 90% occupancy across the 18 rooms – proving the novel experience is worth every dollar. 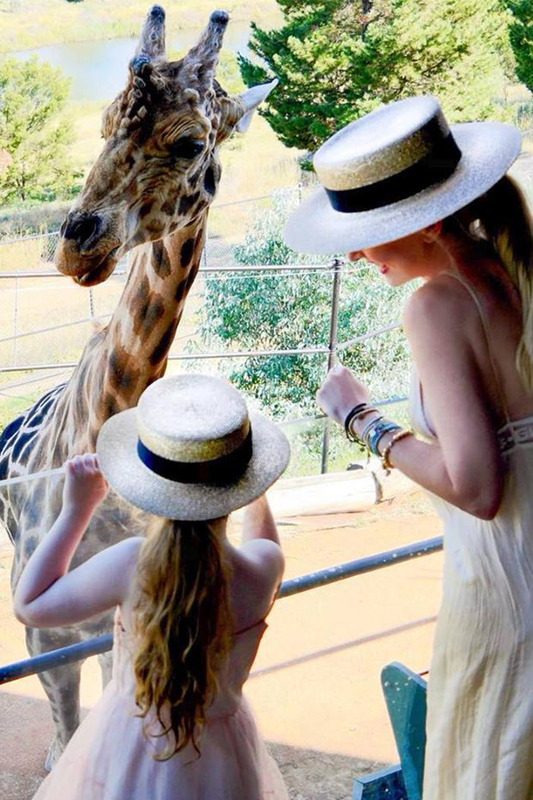 The lodge, which is an accredited member of the Zoo and Aquarium Association of Australia, is one of the few Australian zoos that isn’t government subsidised. 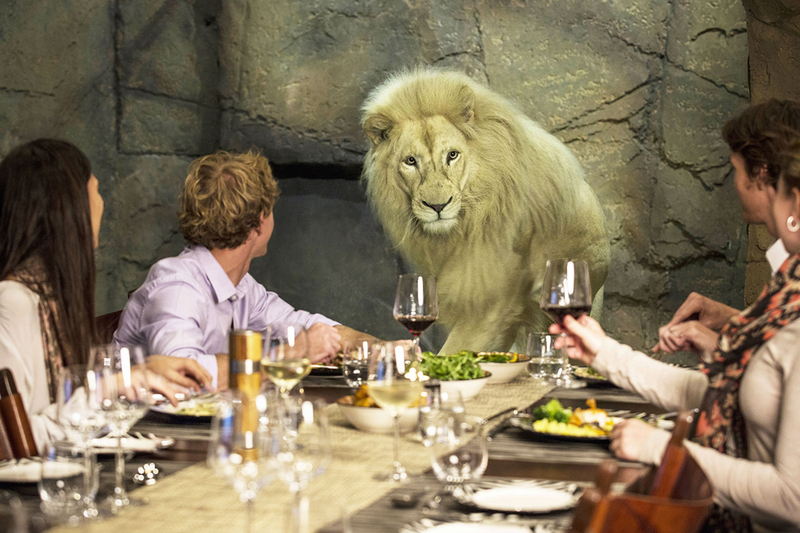 Everything is funded by the owners, including the half-a-million-dollar white lion enclosures. To keep costs down the team organises everything themselves which can make a project take two to three times longer than usual to complete. Staff numbers have grown from 55 to 220 since the lodge’s opening in 2014, with many of them starting as volunteers at the zoo two decades ago.